The year 1314 created Ardnamurchan Clan MacIain. In that year Angus Og MacDonald (Aonghas mac Domhnaill) fought with Robert the Bruce at Bannockburn and, as a reward, was given extensive lands on the west coast of Scotland, amongst which was Ardnamurchan. Angus chartered this wild and forbidding peninsula to his brother, Iain Sprangach the Bold, and it was Iain who founded Clan MacIain. With his lands, Iain received the castle of Mingary, built by the MacDougals of Lorn, who had sided with the English king against the Bruce. 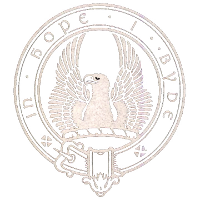 For over three hundred years, the MacIains of Ardnamurchan held Mingary as their clan seat and rose to great power within the MacDonalds’ Lordship of the Isles. Theirs is a long, tangled and bloody history, which we will explore on this website with the help of you, the MacIain descendants. 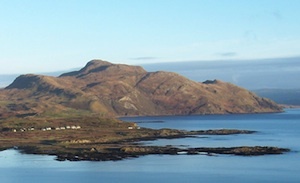 Now, in 2014, the Scottish Year of Homecoming, with the rescue of Mingary Castle under way, the people of the Ardnamurchan peninsula are calling on the scattered members of the Ardnamurchan Clan MacIain – MacIans, McCains, McCanes, McEans, MacIans, McIan, McKeans and others – to come together to celebrate the rebirth of their castle. As descendants of the Ardnamurchan MacIains, sometimes called the Ardnamurchan MacDonalds, well know, their clan was destroyed following a long and bitter dispute with the Campbells, culminating in a massacre of MacIain women and children in a cave on the north shore of the peninsula some time around 1633. Following this, the remaining clan members either joined other, local clans, such as the Clanranald MacDonalds, often changing their names, or they fled their homeland, many to Ireland and later abroad, to America and elsewhere. All that was left of their heritage was their lands, and Mingary Castle. In the centuries that followed, the castle and the MacIain homelands changed hands many times, sometimes in war, sometimes by sale. In 1838, the castle, by then in a dilapidated state, was gutted and left to ruin. 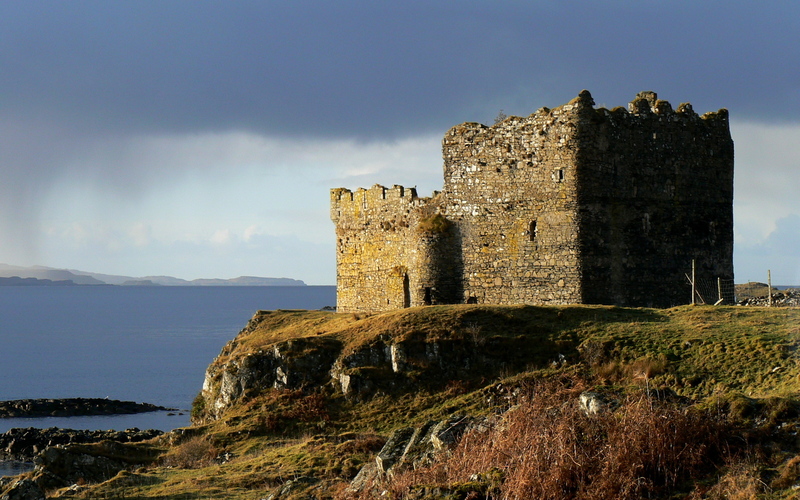 The Mingary Castle Preservation and Restoration Trust was set up in 2013 to save the castle from imminent collapse. A huge amount has been done – the foundations stabilised, a detailed archaeological survey and dig carried out, and a start made on the refurbishment of the castle – more at www.mingarycastletrust.co.uk. Now the present laird of Ardnamurchan Estate, the Mingary Trust, and the wider Ardnamurchan community want to share this great endeavour with all members of the Ardnamurchan MacIains, for whom this is their ancestral land. 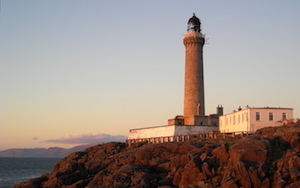 A website is being set up, and a call is going out to use the Scottish 2014 Year of Homecoming as an opportunity for the Ardnamurchan MacIains to start to reconnect with their home. Maybe someone can help. My name is David Duncan McKean. My earliest ancestor is Thomas McKen (note spelling) born 1766 at Larbert, Stirlingshire. I know clan membership can be sketchy, but is the McKean/McKen line from Argyle? I don;t know if we’re McDonalds or MacIans. Any thoughts? Thank you.